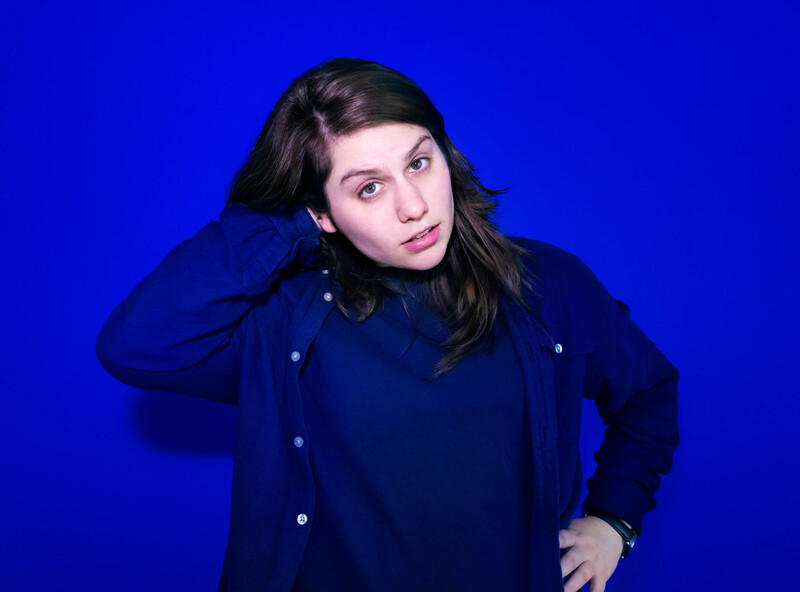 Alex Lahey’s debut I Love You Like a Brother is a stunning and incredibly fun take on Lahey’s life and relationships, balancing slick powerful guitar riffs with lyrics drenched in vulnerability and honesty. I Love You Like a Brother, Alex Lahey’s debut record released on October 6th 2017 via Lahey’s own Nicky Boy Records, is one of those albums that creeps up on you from time to time. At first listen, you’re hooked but can’t really understand why. There’s a singular quality to it which is hard to identify, but it keeps you coming back for more until you’re listening to the record on a loop for days. The more you pay attention to each song, the more the record grows on you, a feat which is incredibly difficult to achieve. You can blame Lahey for that – her incredible songwriting skills and abilities as a guitarist let her personality come to life while still making every single song relatable to a wider audience. From the first strum of a chord of album opener “Every Day’s the Weekend” you know Lahey is here to inject you with some fun, light-hearted, and energetic rock and roll. The upbeat tempo against Lahey’s soft voice show us a balancing act that occurs throughout the record: slick, powerful guitar riffs juxtaposed with vulnerable, honest, and at times sassy lyrics. It also introduces the record’s main theme: relationships. Though Lahey tends to focus on romance, the album is also a wider commentary on her relationships with the people who surround her on her everyday life, her brother, family, and even herself. “Backpack” is a sweet ode to her loved one, and Lahey’s abilities as a lyricist really shine in this song. Different to most songs dedicated to the one you love, Lahey strays away from describing her partner’s physical attributes and instead focuses on the person’s quirks. By focusing on her partner’s intricacies, she not only manages to give the listener a clear picture of who she’s talking about, but also gets us to root for her and this relationship just because of the minute level of detail she uses in every line – her love and care for this person is evident. The image of the backpack is a great nod to the recurring theme of youth and school on Lahey’s previous songs like “Ivy League”. Live, this song shines with life, especially in the instrumental break. If you think Lahey only has positive experiences with love, though, you’re wrong (unfortunately). “Lotto in Reverse” is a song where she depicts being stuck in a bad relationship with someone who didn’t care for her nearly half as much as she cared for them. “I thought I’d take a gamble, won the lotto in reverse”, Lahey says at the end of the first verse, already showing us that this story won’t be bubbly or pleasant. Though the lyrics describe a less than ideal situation, the song’s pulsating bass line and incredible drums make it shine and show us the heavier side to Lahey’s take on rock, and it’s incredibly strong. Even though most songs on the record are about her relationship with other people, “I Haven’t Been Taking Care of Myself” and album closer “There’s No Money” are Lahey’s reflections on her relationship with herself. The former starts off with a delicate synth, which gradually builds up and is interrupted by the strong strum of Lahey’s guitar. In the song, she talks about how being in a relationship and completely in love with someone made her disregard her own self. She paints the picture of being with someone and giving a lot more than she is receiving, her lover becomes the central aspect of her life and as a result she put herself on the sidelines. The song is an admission and a realization, but also somewhat of a promise that she’ll focus on herself from now on. “There’s No Money” is the album’s only ballad. Lahey compares herself to her brother and mother, “My little brother’s married at 22/ My mother’s seeing someone new/ And I’m at home looking after our cats”, as a way to show us that her life is stagnant. The song’s main theme, though, is struggling financially and seeing every aspect of your life be compromised because of that. She touches on LGBT rights saying she couldn’t marry her girlfriend even if she wanted to (a fact that has recently been overturned). Lahey pushes her voice to the limit on the song, reaching beautiful high notes, which beautifully match the fragility of the song’s lyrics and theme. Though this seems like quite a somber note to end the record on, the song’s structure and layered vocals also give it a hopeful spirit. On “There’s No Money”, Lahey says she has “nothing to lose”, which seems like a nod to her finally deciding on becoming a full-time musician, and with a debut record like this it is safe to say Lahey had nothing to lose and everything to gain by choosing to pursue her dreams. And we’re glad she did.